Being a fine human being (in Yiddish, a mensch) is fundamental to living anything learned through the study of Torah or Talmud. If we do not develop derek eretz – decent, polite, respectful, thoughtful, and civilized behavior – we are missing the point about what it means to be a Jew, or a good person in any religion. Derek Eretz literally means ‘the way of the land.’ In Aramaic, zuta means small, and rabbah means large, but this is simply another way to express the concept ‘part one’ and ‘part two’. Both Tractates are actually about the same size, and are equally important. Derek Eretz is not about Jewish ritual, but is primarily concerned with how we treat one another, and the traits of character, middot, we should try to develop. The lessons are universal and ecumenical. 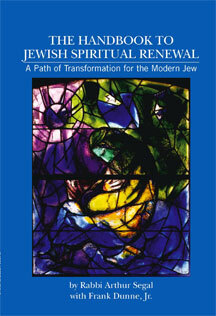 The development of good character traits and transformation through Jewish spiritual renewal is called mussar. “Derek eretz comes before Torah” (Midrash Vayikra Rabbah 9:3). One cannot personify Torah until he demonstrates derek eretz in all that he does. Beresheit, Genesis, tells us that “In the beginning, God created…”. One may infer that God created only the beginning. How we humans choose to treat our fellows and the planet is up to each of us to decide, as God created us with bechira, free will. We can choose to live our lives with derek eretz, or we can allow our yetzer ha ra, the evil inclination, to lead us. 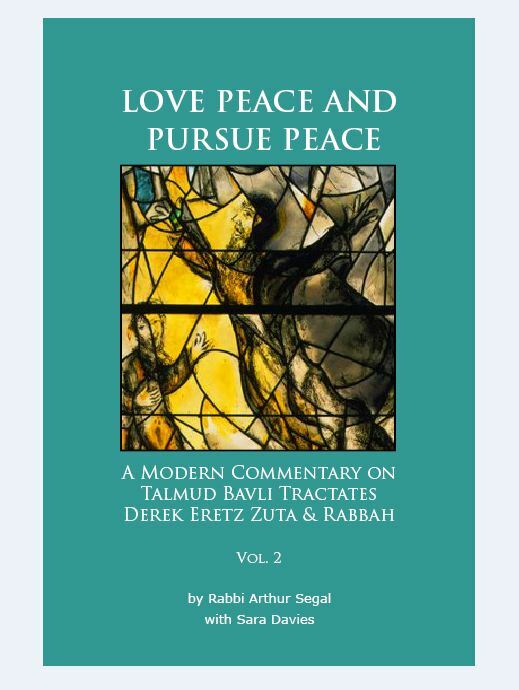 The last chapter of this book is called the ”Chapter on Peace.” It is so important in Judaism that the Talmudic Rabbis wanted to make this its own Tractate of Talmud. Peace is so important in Judaism that one of God’s Holy names is “Shalom.” Derek Eretz Zuta teaches us to ”love peace and pursue peace” in all of our actions and relationships. 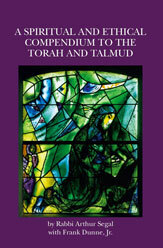 Many published editions of Talmud do not contain the Tractates of Derek Eretz, which were composed 1500–2000 years ago. The first time they were printed with other Tractates of Talmud was in the third Venetian edition (1546-1551). Because they were not compiled and edited until after the Talmud Bavli was closed (ca. 500 C.E.) they are considered ‘minor’ Tractates, mashechtot qutanot, along with Avot of Rabbi Natan and a few others. Derek Eretz appears in Seder Nezikin (Damages) after Tractate Avodah Zarah (Strange Worship) and Pirkei Avot (Ethics of the Fathers). In my years as a teacher and rabbinic counselor, I have seen my talmidim (students) transform their lives through the study and practice of Derek Eretz. May you enjoy the learning process and come to shalom.